Need more information about booking Home 5418232 ? This Log cabin has 2 bedrooms, 1 bathroom and sleeps 4. It’s been listed on Holiday Lettings since 19 Nov 2014. 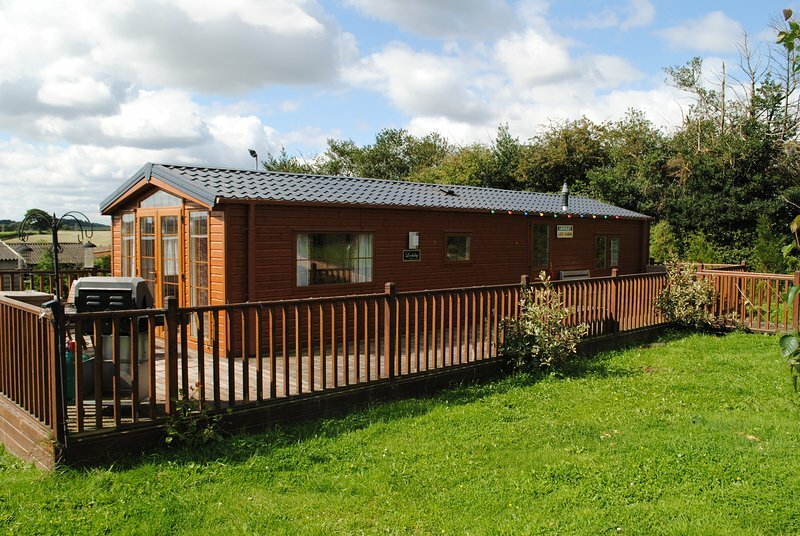 Located in Nottinghamshire, it has 25 reviews with an overall rating of 5. The average weekly rate is £642. The property’s calendar was last updated on 17 Apr 2019. What a lovely place to stay for a long weekend. We stayed here with our 2 daughters, both are very keen horse riders, which was part of the reason for booking. Our eldest joined in the show they had running on the Sunday and came away with a couple of rosettes. The cabin was immaculately clean and had everything you needed. I can not say a bad word about this place. This is the second time we have stayed at the Locksley log cabin and again didn't disappoint. A beautiful well equipped cabin with everything you could possibly need. The children loved the trampoline and stroking the horses.Debbie listed lots of information in the cabin and was on hand if needed. We be booking again in the near future.